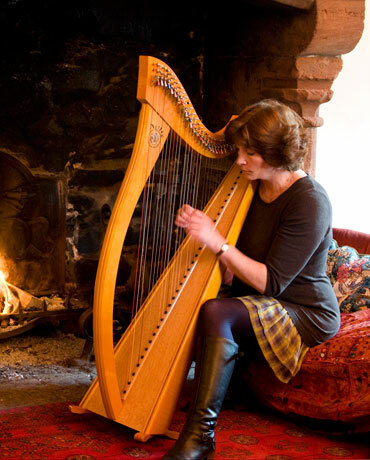 While I shun the mantel of 'traditional harpist' I can't deny that much of my work has been influenced by tradition. The spiritual essence and mystery of the many of the Borders Ballads for example, has crept surreptitiously into much of my work. Inspired by their romance, I have written new music and accompaniment to them. I do perform traditional material but most enjoy playing with it and somehow shaping it into my own.